MILPITAS, Calif.--(BUSINESS WIRE)-- Aerohive Networks® (NYSE: HIVE), a Cloud Networking Leader, today announced it has signed an Original Equipment Manufacturing (OEM) agreement with Dell EMC to deliver Aerohive’s full portfolio of Wi-Fi Access Points and HiveManager® NG Cloud Management Platform as a Dell EMC-branded solution. The agreement includes comprehensive and collaborative sales, marketing, support, services, and logistics capabilities that enable Dell EMC’s sales teams and channel partners to go to market with a unified Wi-Fi and Switching solution that is managed by a Dell EMC-branded and Aerohive-based Cloud. The OEM agreement announced today is globally operational, effective immediately. 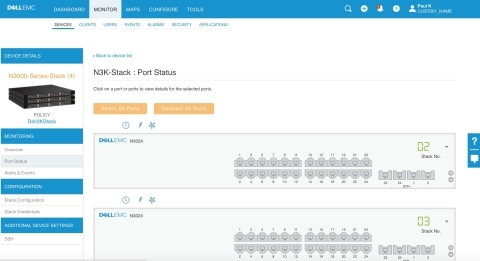 Additionally, Aerohive today announced new functionality in HiveManager NG, which now supports switch stacking through an innovative graphical user interface, for Dell N1500, N2000 and N3000 series of switches. Aerohive also announced that Dell EMC N1100 series switches are now being supported in HiveManager NG. Customers can now manage their converged network comprising Dell EMC switches and Dell EMC-branded Aerohive Access Points from a single pane of glass using HiveManager NG. HiveManager NG provides advanced switch-management functionality through an easy-to-use Graphical User Interface to access commonly used features, such as port configuration, monitoring, device uptime and port analytics. This next-generation cloud networking solution sets a new standard for wired and wireless network convergence by bringing enterprise-class management features to the public or private cloud. Aerohive (NYSE: HIVE) enables our customers to simply and confidently connect to the information, applications, and insights they need to thrive. Our simple, scalable, and secure platform delivers mobility without limitations. For our customers worldwide, every access point is a starting point. Aerohive was founded in 2006 and is headquartered in Milpitas, CA. For more information, please visit www.aerohive.com, call us at 408-510-6100, follow us on Twitter @Aerohive, subscribe to our blog http://boundless.aerohive.com/, or become a fan on our Facebook page. “Aerohive” and “HiveManager” are registered trademarks of Aerohive Networks, Inc. All product and company names used herein are trademarks or registered trademarks of their respective owners. All rights reserved.